Theories range from an Atlantis-like series of natural disasters, to a gradual rise in sea level, which may have caused the sediment beneath the city’s foundations to collapse, but of course, nobody knows for sure. Thonis-Heracleion was discovered by underwater archaeologist Franck Goddio, following a survey of Egypt’s North coast in 2000. Since then, underwater archaeologists have learned a great deal about the everyday lives of the people living in the city, and they’ve uncovered some truly astounding artefacts into the bargain. 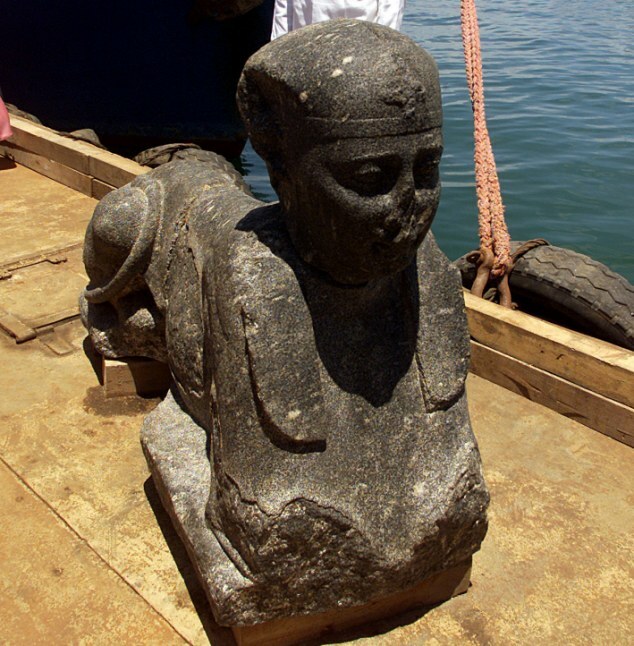 “We are just at the beginning of our research”, says Goddio, "We will probably have to continue working for the next 200 years for Thonis-Heracleion to be fully revealed and understood.” Who knows what sunken treasures the site will yield as the investigation continues?